Last Wednesday, I drove up for synchronized swimming like so many other weeks. But this week it was different. This is the last time that I get to swim with my friend. It was another show, this time at the YMCA we called home last year (they missed us). That means that I’m not swimming for the normal hour, but only about 5 minutes. I didn’t bother putting on a temp basal, especially since I was in the high 100s before getting there. Well that was my mistake. First of all before I got there, I was around 150. (I got there late) When the show was over 45 minutes later, I was hovering at 80. By the time I got out to my car, I was low. I had my handy liquid glucose which I took out and chugged. And then I went and hung out with my mom in her car. Between 10-15 minutes later, I was still low. And we found a juice box in her car, that I stabbed open with my key. (We found the straw later) And as I started to drink it I nearly spit it right back out. And then I looked at the top of the box and noticed the expiration date. My mother got her car in 2003, and I’m guessing that this juice box might have been in there since day 1. It was nasty! (And this morning I had one that expired in 2008). 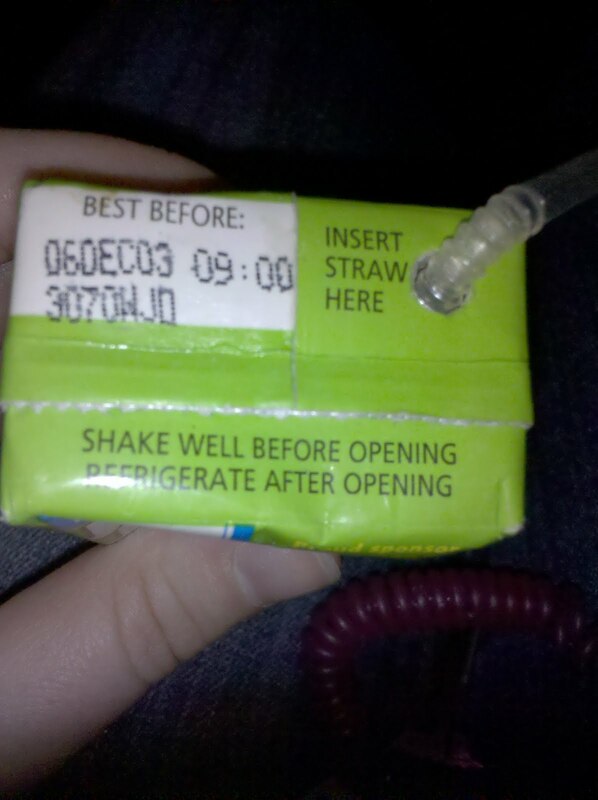 Pay attention to those expiration dates, because the juice really does taste gross after the expiration date. However, as my mother said “it’s not like the sugar left.” Which is true, and it did work. But, blech! lol that's why I like glucose tabs, as far as I have expierienced I haven't noticed them going bad. I'm glad you are OK though! Haha, I like your mom's comment. I'm all about glucose tabs too…they are chalky but at least they work quickly and you don't have to take in extra carbs if you don't want!